The camp is coming to Guthrie on July 1. More details can be found, including registration, can be found here. Their mission is to provide a fun, positive rodeo experience. 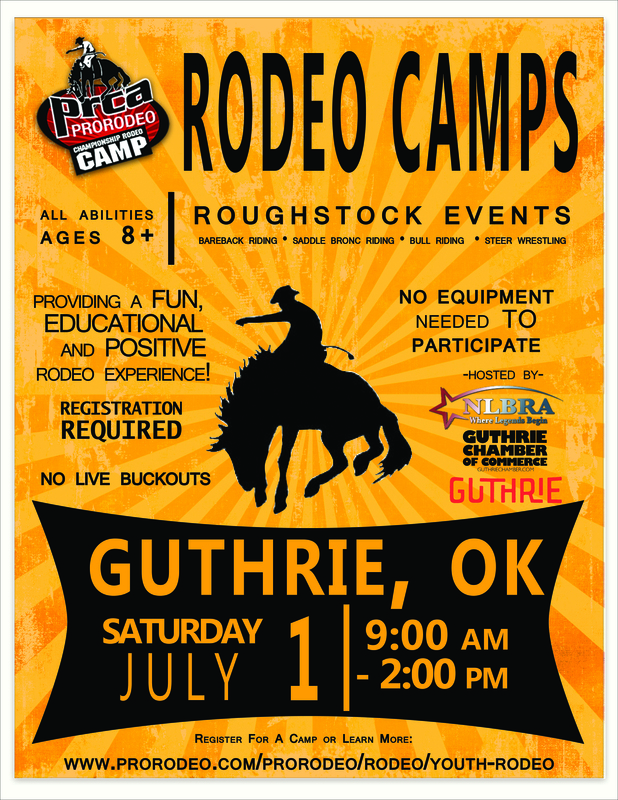 Camp curriculum includes an introduction to roughstock events with an emphasis on safety, fundamentals, chute procedures, livestock safety, overview of riding equipment, injury prevention and management, fitness and nutrition, introduction to PRCA business and goal setting. Instructors deliver encouragement to participants as they pursue both their rodeo careers and scholastic endeavors. This program has been made possible through the generous contributions of PRCA members and rodeo committees who have donated their time, talents and resources to this new program. Donations have included arenas, livestock, meals and travel costs. For more information on the PRCA Championship Rodeo Camps Series contact Julie Jutten at jjutten@prorodeo.com or call (719) 528-4729.